There's always one isn't there. While most of us are content to enjoy a party or social gathering 'offline' – it pains us to even use that word – someone will doubtless snap away and upload every photo to the internet. Well now you can outsource that task to a gadget. It's called the Lyve Cam, and it's a puck-shaped device that you put somewhere in the room. Get on with your shindig, and it'll snap 13-megapixel photos and record video in 4K without disturbing anyone or making them pose. It should make for more natural shots, and an environment more conducive to a good time. It's not as annoying as it sounds. While it does upload the photos and videos without asking permission, they all go to a shared folder, rather than somewhere online that everyone can see. Make sure everyone attending has access to said folder, and they can all look back over the pics with no "Oh can you email me that?" "Let me take down your email address" conversations. Just make sure you only invite people you trust not to blackmail you with any incriminating shots. 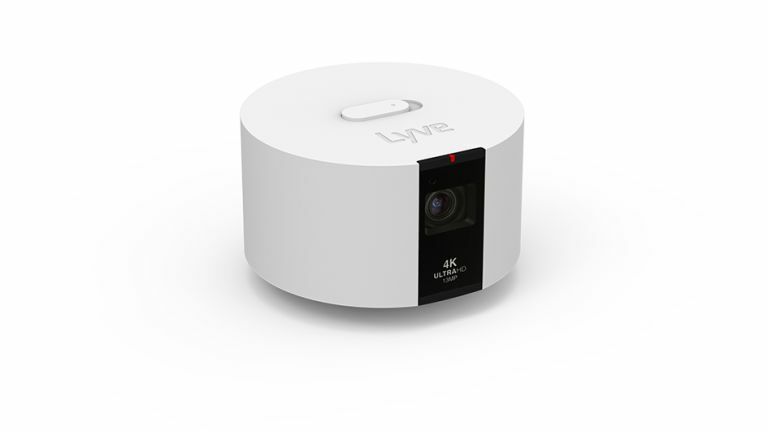 The Lyve Cam has 32GB of storage, which should hold plenty of photos and video. It also comes with unlimited online storage for your vids and pics. It connects to your home Wi-Fi network. You can mount it on a tripod, or rest it on a shelf or table. The downside is that it doesn't rotate, so if you want a higher chance of getting some good pics, you might need a few dotted around the room. There's no word on how much it'll cost, but it should go on sale in the autumn. Just in time for party season. Eek.